I am pretty much OBSSESED with wreaths. I love making them for each different season and/or holiday and I even have them hanging around my house. As I sat down to put up a picture of my latest creation I decided to do a little research on the wreath. So thanks to good old wikipedia I learned a few things about wreaths. Let's start with their origin. They were originally used in ancient southern Europe and ancient Greece and Rome. They were worn as an adornment on people's heads. There are also a couple different kinds of wreath. The harvest wreath and the advent wreath. Who knew right? I liked what it said about the advent wreath so I am just going to paste the whole thing in here. Since the classical use and symbolism of wreaths, the meaning and representation has taken on differing views, depending on the culture. 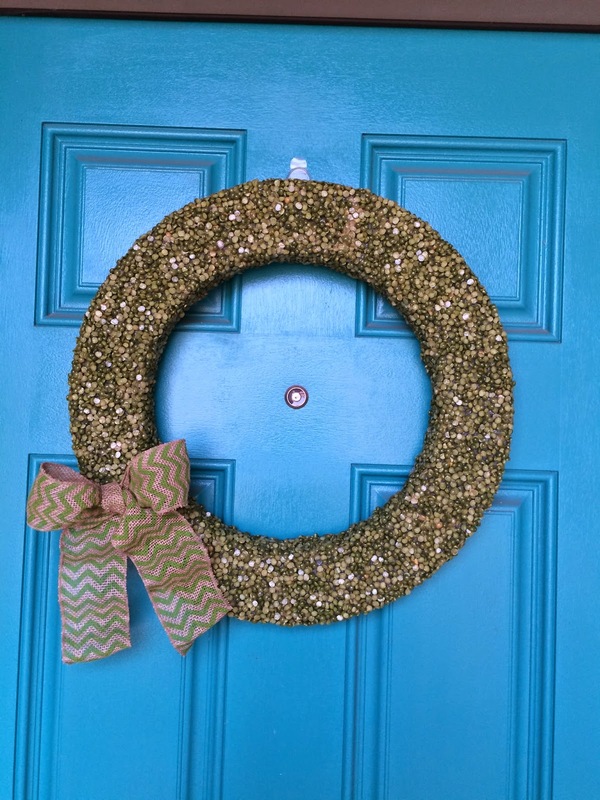 In Christianity, wreaths are used to prepare for the Advent season or the "coming of Christ." The first known association with these now modern day wreaths dates back to the Lutherans in Germany in the 16th century. In 1839, Johann Hinrich Wichern used a wreath made from a cart wheel to educate children about the meaning and purpose of Christmas, as well as to help them count its approach. For every Sunday of Advent, starting with the fourth Sunday before Christmas, he would put a white candle in the wreath and for every day in between he would use a red candle. The Advent wreath is constructed of evergreens to represent everlasting life brought through Jesus and the circular shape of the wreath represents God, with no beginning and no end. The Advent wreath is now a popular symbol in preparation for the coming of Christ, to mark the beginning of the Christian Church’s year and as décor during the Christmas festivities. Now that you have a little background on wreaths.... I guess I can tell you about mine. It has no meaning whatsoever. I don't love wreaths for their history or symbolism, I just think they are pretty. This latest creation was from an idea I found on pinterest. Here is the link for the tutorial I followed. She suggested using a green foam wreath form and I strongly support that suggestion. It already took my forever to glue the peas on and I can only imagine if I didn't have the green crutch to lean on. :) So here is my wreath on my door. It is beautiful and I love it. Warning: This project is very tedious and messy. I do a preschool at my house for my little girl and her friends. All the moms take turns teaching. It is great! Last week, we started getting ready for Valentine's day. 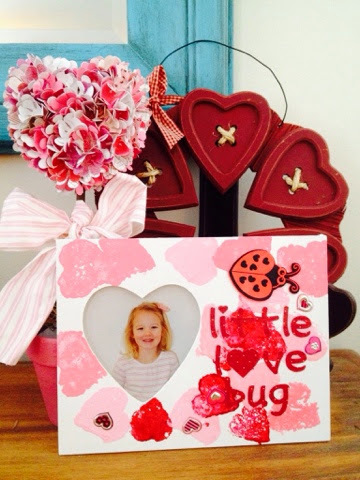 Here is a quick 'how-to' to make these cute Preschool Valentine's Day frames. I found these cute heart frames at Michaels. I painted all of the frames white. 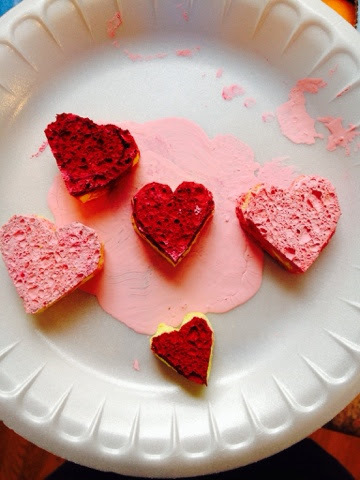 Then I cut out hearts from a sponge. I just used a kitchen sponge. Don't worry, it was a new one! Then the kids dipped the sponges in different colors of paint. I used red and two different shades of pink. I used my Silhouette to cut out the letters. I used one of my favorite fonts called annoying kettle. I replaced the 'o' and the dot on the 'i' with a heart. The shape I used is the heart stamp. I ungrouped the shape and deleted everything except the center heart. Then I copied the heart. One I made smaller to make the dot on the i. The other heart I resized to be the o.
I used Mod Podge to attach the letters to the frame. 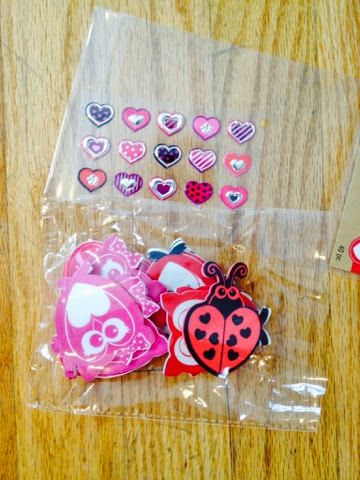 Then I let the kiddos finish decorating with some Valentine's stickers. 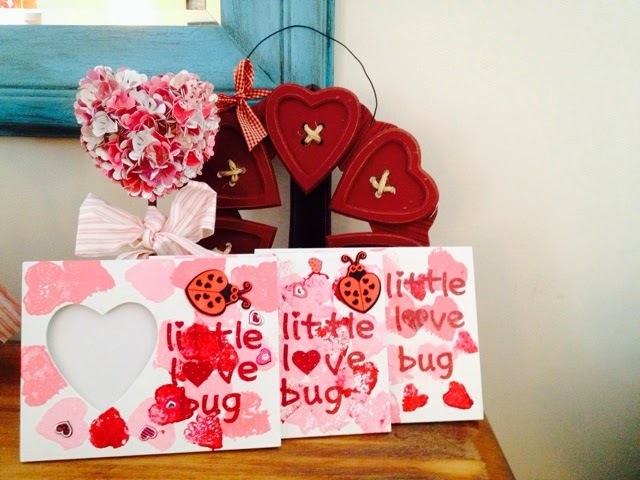 Each child got a lady bug sticker to put on her frame to go with our little love bug! Last of all, I took each of the girls pictures and printed them out. Then I put them in a frame to give to their moms. Cute, right? I had so much fun making these with the kids. And now I have a cute picture to go with my Valentine decorations! 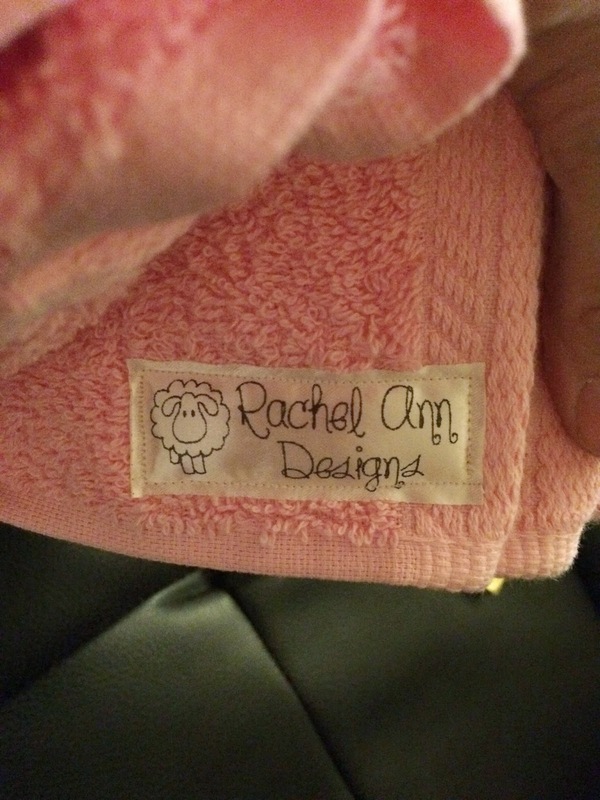 I am going to a baby shower tonight and my standard gift is of course the hooded towel. One of these days I am going to make a tutorial for them.... but until then here is my pretty little bundle. My favorite part of this gift is the tags I recently had made. This is the first thing that I have been able to put them one and they turned out super cute! I love them!! I never get to make pink towels for anyone in my house. I have four boys and we are consumed with anything boy. To be honest, I actually have some decorations that I bought for a little girls nursery like... 5 years ago..... they are still sitting in my closet. One day I will just have to decorate my craft room as if it was a little girls nursery. haha. Happy Friday! What are you working on? I have some serious commitment issues with home decor. I just can't commit to one style! Or color! Or theme! And then Pinterest was invented and it opens up a whole new world of options! I have a love/hate relationship with Pinterest. It provides hours of entertainment while nursing a baby at 3 am. It also has so many great ideas! But maybe too many ideas! Now I really can't make up my mind! And let's be honest, with 4 kiddos running around, my house is NEVER going to look like that! I also blame it on being temporary. In 9 years of marriage, we have moved 9 times! So I never want to decorate because I am just going to pack it up again! Confession time. I have been packing pillow forms with me for 9 years! 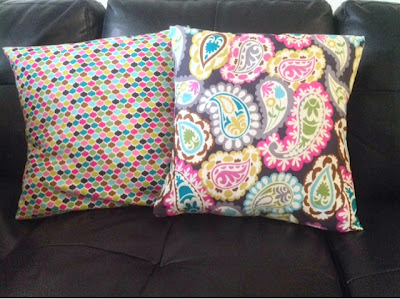 Because someday I will make pillows to match my super cute home decor and feel like I live on Pinterest Lane. I came across this video http://www.danamadeit.com/videos by Dana. Ps can I just be her? She is awesome! Anyway, she does an 8 minute video on making a pillow! Seriously 8 minutes? 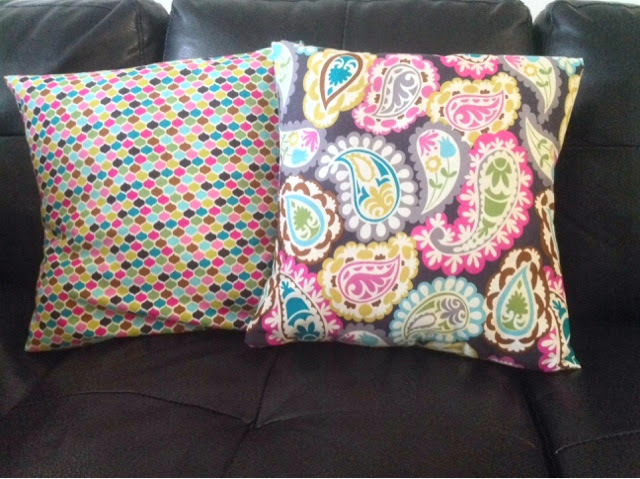 Now granted it takes a few more minutes than 8 (see previous post, crafting with children) but in a day I was able to make 2 pillows! Now I'm committed! My style? Modern? Chic? Who knows. But there are plenty of colors in there to go off of. And with 8 minutes at stake, I may even be able to change my mind! I start the day with great ambitions to get some project done. "Mom, I'm hungry." said child number 3. Stop sewing and go cut up an apple. "Mom, I can't get the TV to work. Netflix won't load." Stop sewing and turn on Blu-Ray player, load Netflix. "Mom, I'm hungry." said child number 2. 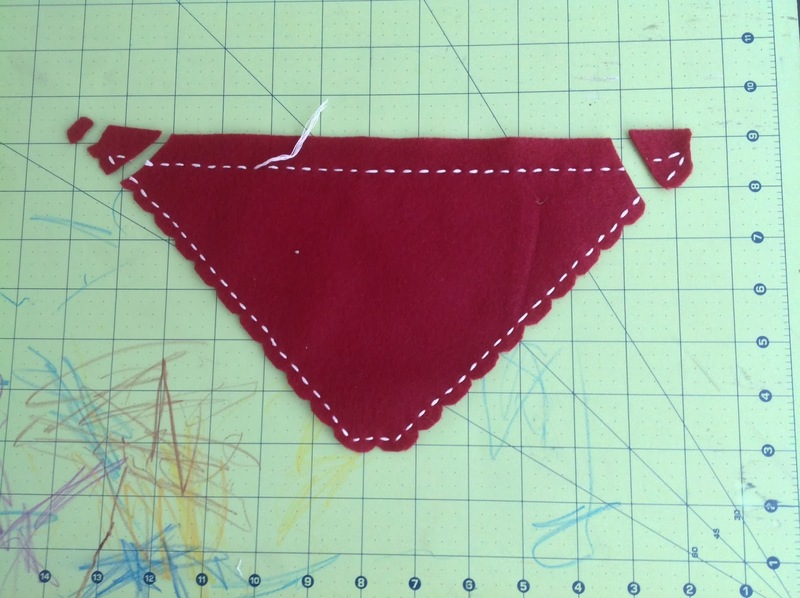 Stop sewing and cut up an apple for child number two. Holler at child number 1 "do you want an apple too?" Cut another apple for child number 1. Stop sewing and break up fight by taking away the remote. Fighting has now caused baby to wake up early from his nap. Is anyone else like this? Does this sound like your house? I see all these bloggers with young children whipping out amazing projects that are then photographed in their perfectly put together homes. And I think to myself, did you lock your children in a cage while you crafted? 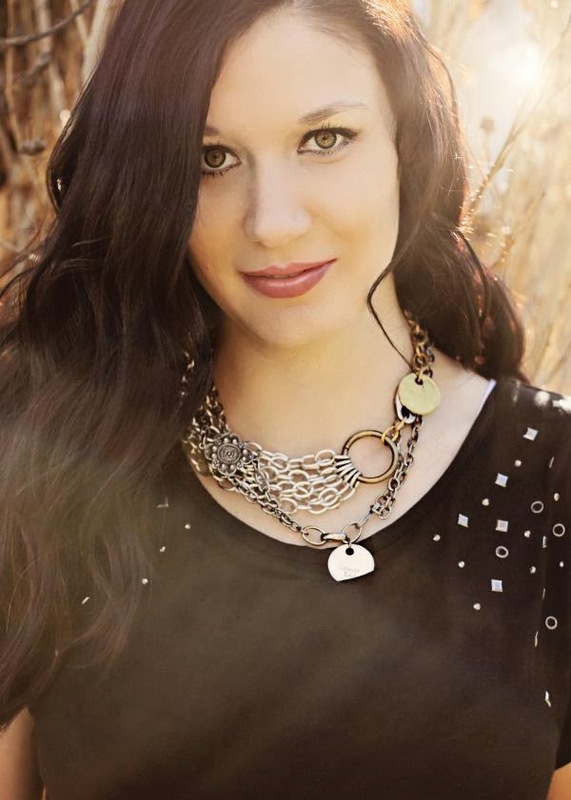 And then set up your house to look like a magazine cover? Or maybe they spent the day at grandmas. Or the month. Or the year. 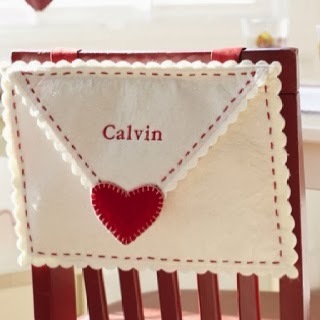 So a couple of weeks before Valentines, I see these cute envelopes at PB and I thought I can make that! I had a couple weeks, I could totally get one done for everyone in my family! How cute would it be to send little love notes to each other! I was excited to start a project! But sadly, this is what I got instead. And the above dialogue happened like ALL DAY! Except for one more thing, while I was in the bathroom, child number 3 got ahold of my rotary cutter and cut perfect little sections off of the envelope flap! Enough that I have to start over! And now Valentines has passed and I am so frustrated with yet another UFO (unfinished object). So I will pack it away until 2 weeks before Valentines Day next year when I see the PB ad and think wouldn't it be so cute to make one of those for each member of my family? And to send love notes to each other? Before I dash off to Michaels to get felt, hopefully, I will remember, oh yeah, I already started that! And I have an envelope flap to redo! 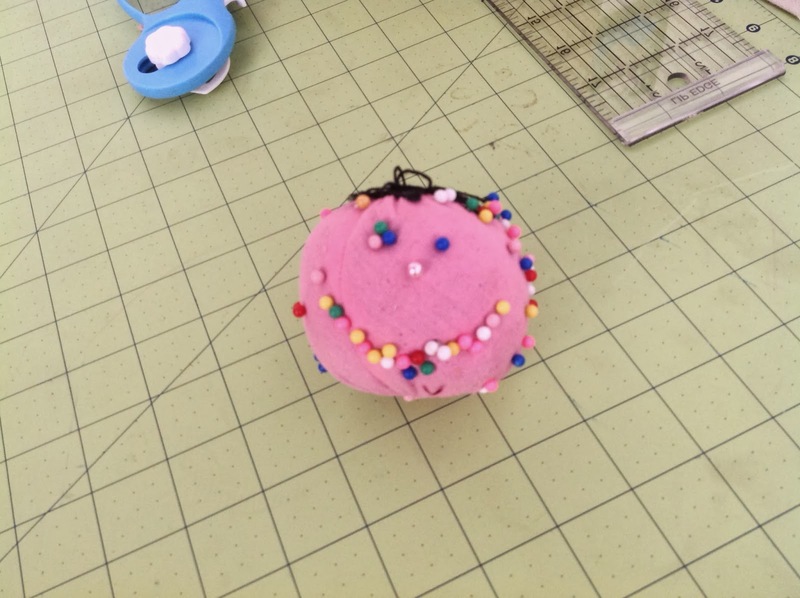 Crafting with children can be stressful! I started the #10mincreate and #365create as a goal to get something created for at least 10 minutes a day. It is working, slowly, but surely I am getting things crossed off my list. Nap time, bed time and school pick up are my most effective times! Most of all, I am trying not to get so frustrated when they are asking for an apple. After all, I started that project first...THEM!!! And I have come to terms with the fact that my house doesn't look like Pinterest! Just trying to keep it real! And yes, my cutting mat is covered with a crayon masterpiece! 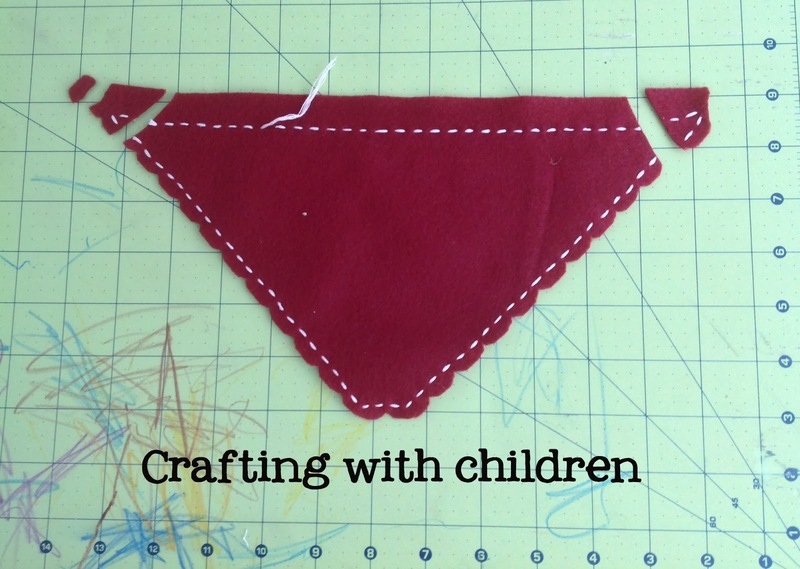 Crafting with children can be great too! Like when my oldest asks for a sewing basket for her birthday. Or making cards together! Or when I find my pins arranged in such a happy way! We have a week off for winter break right now. Seriously, who does that? It's too cold and snowy to go anywhere, plus it is tax season which means we really aren't going anywhere! Anyway, I digress. So to entertain the kiddos we have been trying to do different themed days. (Thanks to the suggestions of friends and family). Today was American Girl doll day. They play with their dolls and I sew for their dolls. Win win! So here is a quick tutorial on how to make these skirts. By the way, this is how I make all of our elastic waistband skirts. And if you don't want to make one, I have them for sale in my etsy shop! Link is in the sidebar! 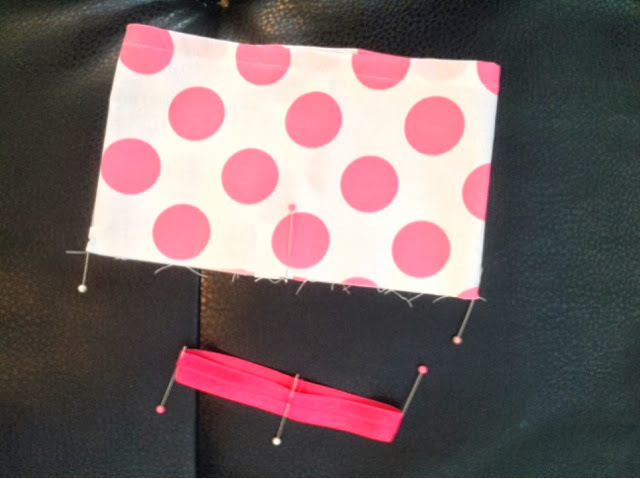 Start by sewing the piece of fabric for the skirt together. 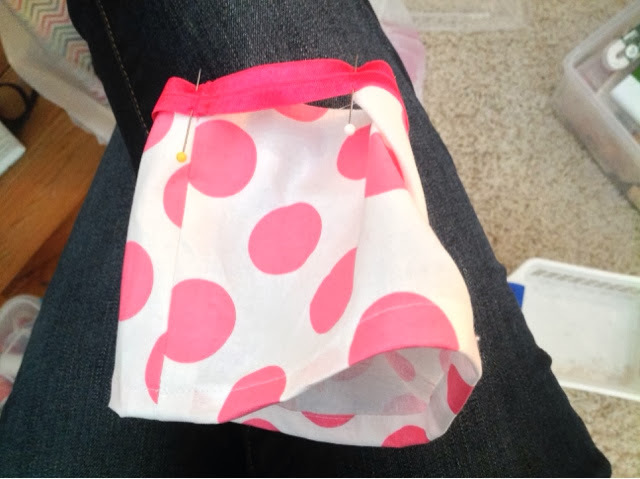 Sew them right sides together with a 5/8 inch seam. Hem the skirt at this point. If you use the knit ruffle material, you don't need to hem it! 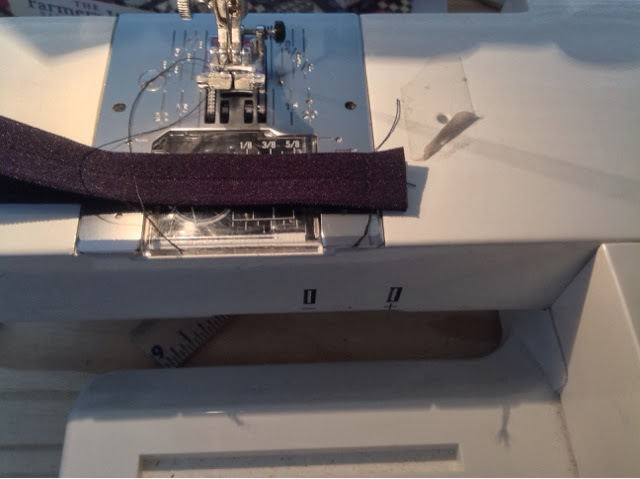 Sew the elastic together. (See the end of the tut for more help on the elastic). Then divide the skirt into 4 equal parts. I have done this with pins as you can see in the pic below. Do the same with the elastic. Then match up the pins from the elastic to the pins in the skirt. You will have more skirt material than elastic so you will have a hole like in the pic below. Then as you sew, you will pull on the elastic so it is now even with the skirt. You are gathering the skirt material to the elastic. 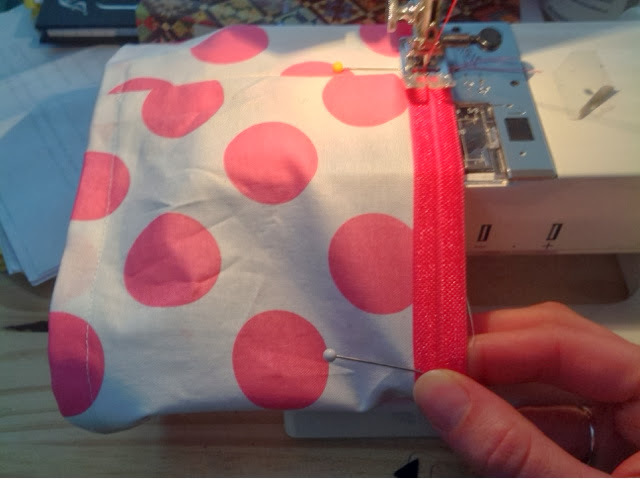 I sew from one pin to the next, then readjust my hands. This part takes a bit of practice! Be patient! Now for the elastic. Sew it right sides together. Like in the pic below. 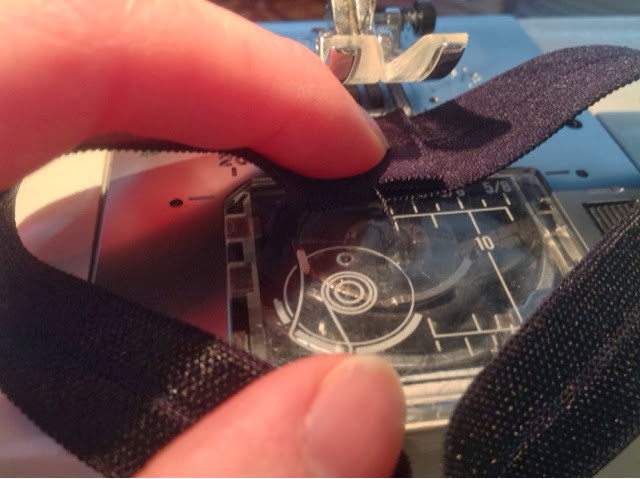 Then open it up and sew 1/4 inch away from your original seam. This makes the elastic more stable with all the pulling that it goes through! Now you are done! 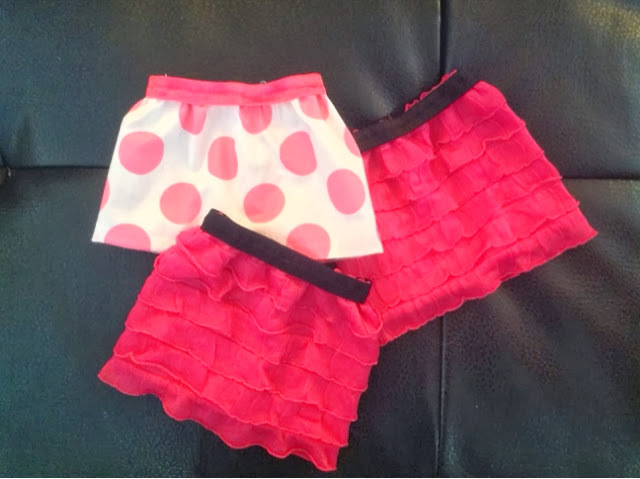 You can enjoy these American Girl Doll skirts and they don't take very much time to put together! Thanks for looking at one of my first tutorials ever! This year I am starting something new! New Years' Resolution time, right? Here's the backstory. 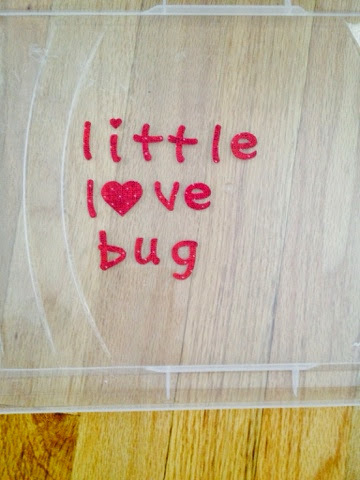 I love to sew, crochet, knit, embroider, play with my Silhouette; pretty much ANY kind of crafting, I love!!! But I also love my kiddos and have 4 of them, so I am BUSY! And lets not forget the house that I like to take care of (well mostly, I hate dishes. :) I have a lot of projects that I have started over the years (I think I have heard them called UFOs- unfinished objects). I also have new projects that I want to start! But I NEVER get around to it! Everyone has 10 minutes a day, right? Some projects will be kind of slow, but hey, you are creating something 10 minutes at a time! Pictured above are the first 5 days of January for me. 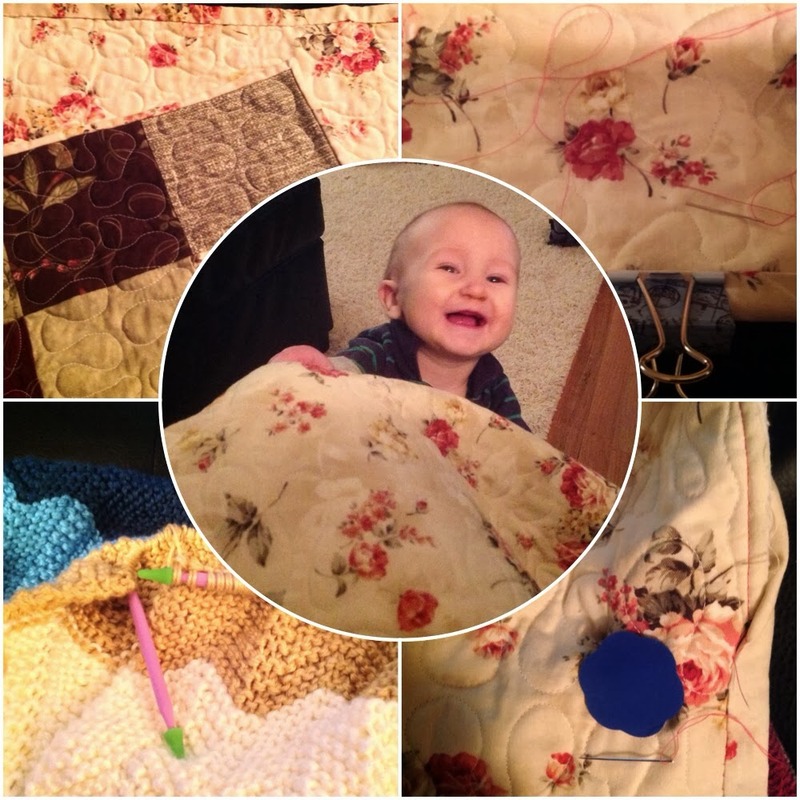 I knitted a couple more rows on Kaleb's blanket and I hand bound a doll quilt. Yes, I gave my daughter an unfinished doll quilt for Christmas, lame I know! I am anxiously waiting in the mail for my Farmer's Wife quilt book. I am going to attack that this tax season with my 10 minutes a day. You can play too! I will keep you updated on how I get this quilt done with 10 minutes a day! I love to sew, crochet, cross stitch, and cook. I hate to clean, do laundry, and do dishes. I have four little boys and I love being their mom. Also, I didn't like the blue man group at all. Well, their song about all the different names for the bum was pretty funny. I am a mom to 3 girls and a boy. I love to sew quilts and clothes! I love knitting (just learned how! ), crochet, embroidery and playing with my Silhouette! Here you will see the things I am smitten with!